Great review. Love the line about them being as intimidating as Brian Boitano. 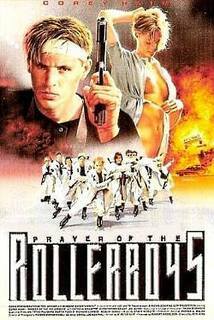 Prayer of the Rollerboys is an awesome... wait, wrong word... radical movie. 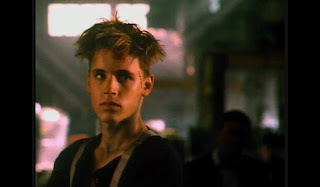 So very, very 90s. Haha, this was pretty rad at times. Classic early 90s. Haim should have made more action movies like this...he will be missed. 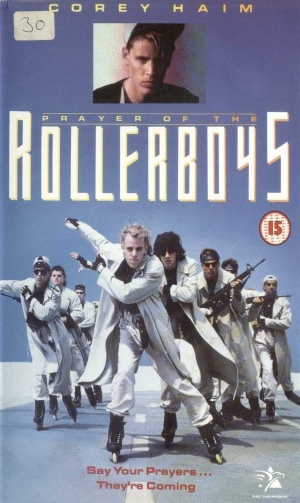 There was also the Roller Blade Seven, Legend Of Roller Blade Seven and Return Of Roller Blade Seven. Hmm, haven't seen those. Are they good? With a cover like that, who even needs to watch the movie? The next stage of your obsession would be to purchase a pair of rollerblades and start Haim-ing it up immediately. lmao, I have to see this. If for nothing else, just to see them skating in unison. Haha! It is one of the best moments.